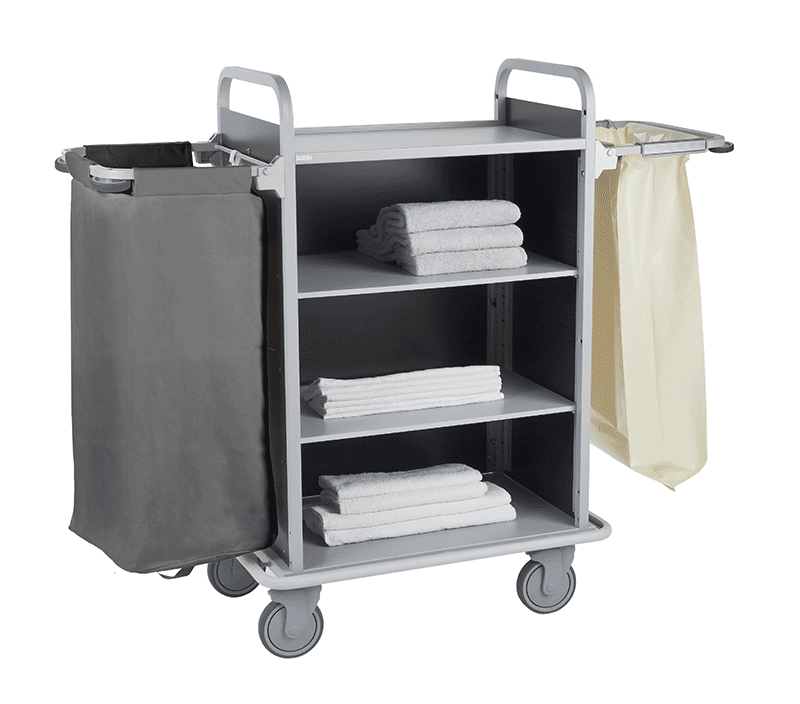 Multiservice trolley in polypropylene/steel. 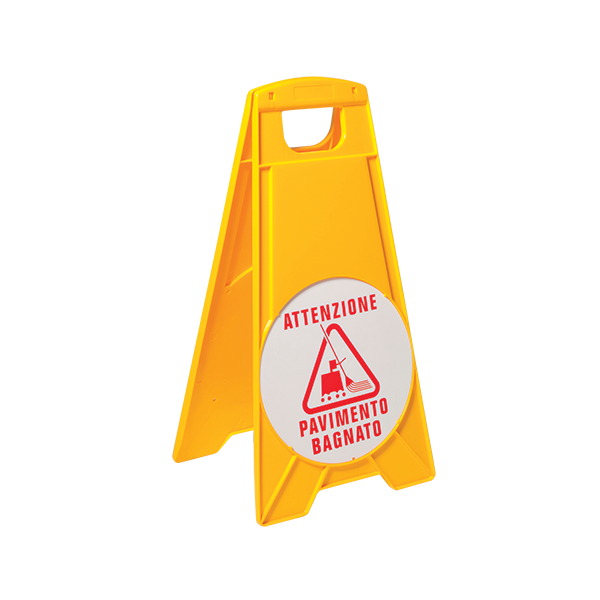 The steel parts are treated with anti-scratch epoxy painting and anti-oxidant, that ensures a great resistance to chemicals, weathering and UV rays. 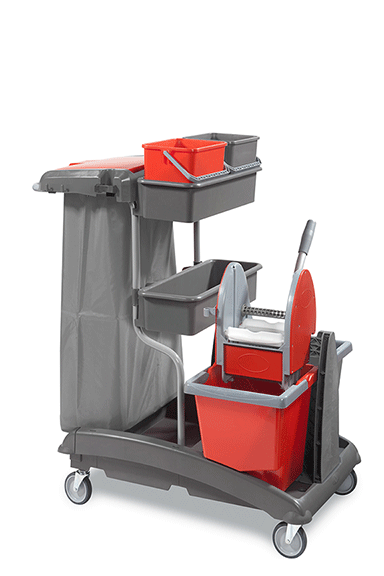 TRANSNET is classic and at the same time a practical cleaning trolley with great storage place for buckets and with a big garbage collector with lid. 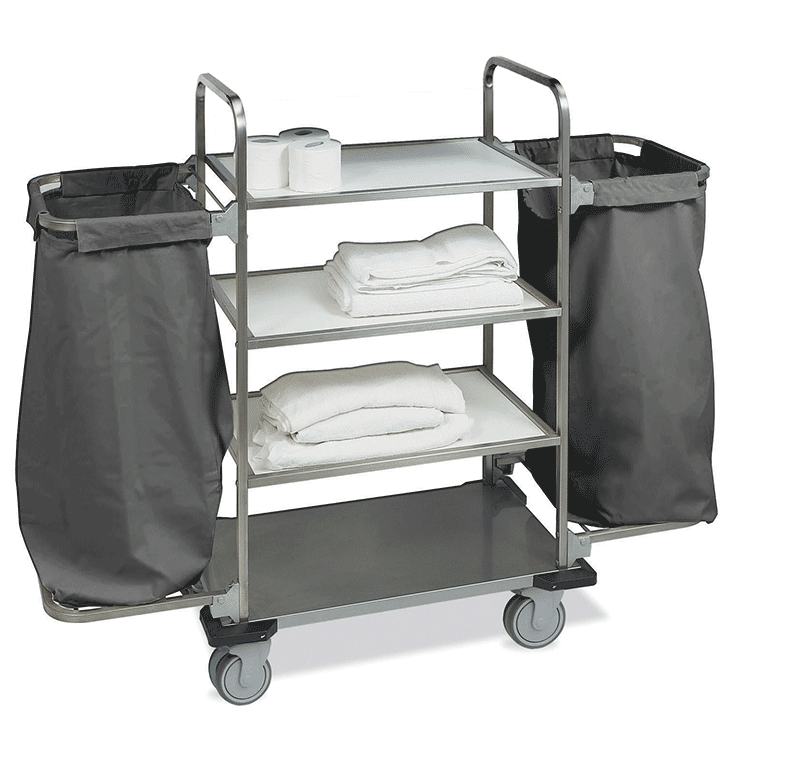 The EASY 2 allows for more space and comes equipped with 2 removable, washable cotton bags. The IBIZA is practically pre-constructed giving it an excellent value. 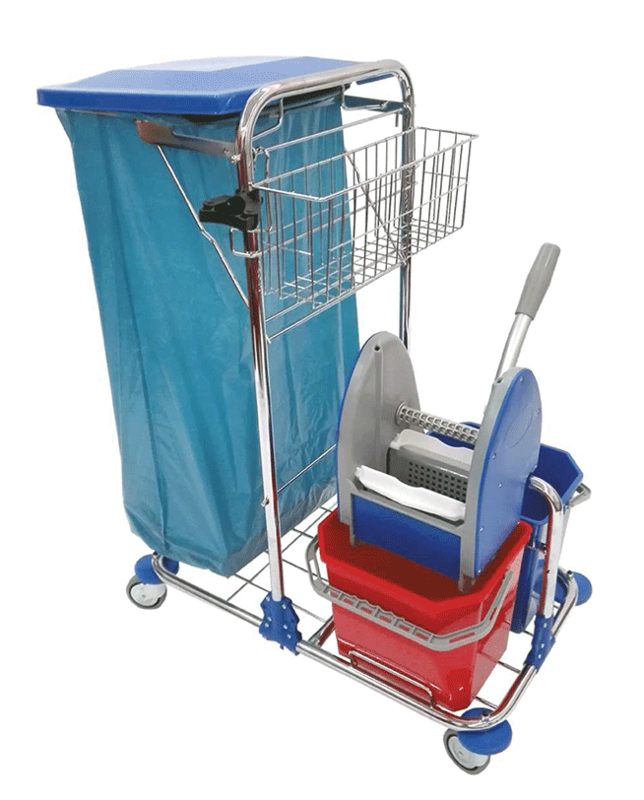 This model is proudly insured by our best designs and ensured quality off ered by Caddie Hotel.